Light up a shady area of your garden with this colorful collection of easy-care plants. 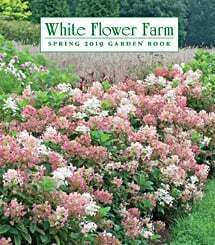 Compact Hydrangea Tiny Tuff Stuff™ (PP 24,842) anchors the show with its structural presence and long season of bloom. Creating waves of color are the frosted green leaves and purple blossoms of vigorous Lamium ‘Purple Dragon’ (PP 15,890), the silvery foliage of Heuchera Dolce® ‘Silver Gumdrop' (PP 29,207), the dark leaves of Ajuga ‘Black Scallop’ (PP 15,815), and the nearly black foliage of Heuchera ‘Obsidian’ (PP 14,836). The Japanese Forest Grass Hakonechloa ‘All Gold’ adds a pop of golden chartreuse. This shade garden provides colorful blooms along with interesting foliage and texture. Covers approximately 9 sq ft. One plant of each variety listed below, 6 plants total. Worst rip off! One of the grasses was forbidden in Oregon, so I was charged 112.00 for 4 tiny plants in seedling containers that were not of good quality and one pint size plant,clearly (trimmed from another plnt with many branches with no leaves, but represented to be a hydrangea.. I then called at least five times for "THE PLANS" but though promised, never RECEIVED them. I purchased from them BECAUSE OF THE PLAN! DON'T BOTHER! THIS IS AT MOST $30.00 WORTH OF PLANTS AND WITH NO PLAN, YOU CAN BUY THEM LOCALLY FOR A LOT LESS AND WITH BETTER QUALITY. I am sorry you were not pleased with the overall size of the plants ordered individually to match this collection.The way plants ship is noted on the full description screen under the Quick Facts and this screen is accessed by clicking either the photo or name of the plant. The planting diagram was not sent with the order because the plants were ordered individually, but the agent's note in the order dated 4/2/19 indicates she sent the diagram via email that day. As all of our products are guaranteed for full satisfaction, I will be contacting your via email regarding compensation. Worst rip off! One of the grasses was forbidden in Oregon, so I was charged 112.00 for 4 tiny plants in seedling containers that were not of good quality and one pint size plant,clearly (trimmed from another plnt with many branches with no leaves, but represented to be a hydrangea.. I then called at least five times for "THE PLANS" but though promised, never RECEIVED them. I purchased from them BECAUSE OF THE PLAN! DON'T BOTHER! THIS IS AT MOST $30.00 WORTH OF PLANTS AND WITH NO PLAN, YOU CAN BUY THEM LOCALLY FOR A LOT LESS AND WITH BETTER QUALITY. These plants are perfect for my shady section. After seven weeks, the black scallop has covered two square feet and rooted in two additional places. I am very impressed with the quality of these plants. Only one didn't do so well, but it's in a gravelly area, next to the tree that keeps sucking up all the water. The tiny tuff stuff hydrangea is the only one planted in a sunny section and it's flourishing quite well. No blooms yet, but it's only year one. The hydrangea replaced an $18 plant that I bought from my local nursery that withered and died in year two. For comparable money spent, these plants did not disappoint and I will add to my garden next year. I have a black thumb and didn't know what to do with the "dead zone" in my yard. I bought a wishing well and placed these plants to the right and left of the wishing well, and along the fence where nothing would grow. It looks adorable. Thanks to BH&G for putting this collection together.